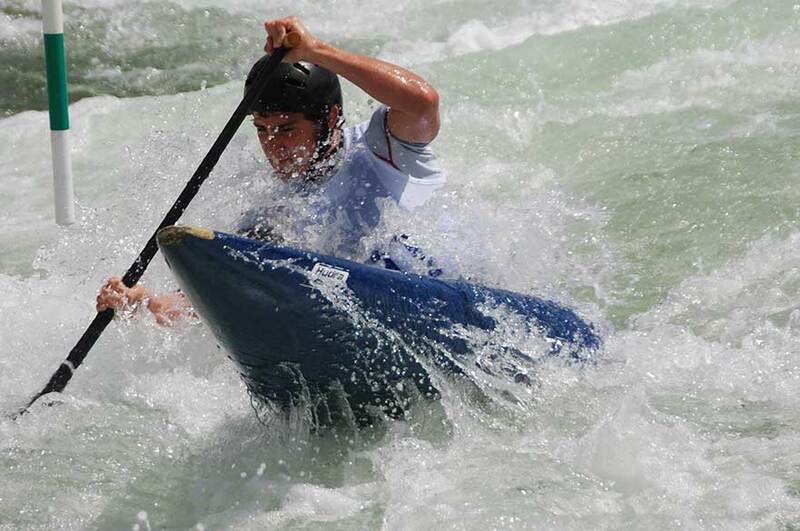 NTU Economics student, Tom Quinn, powered his way to a bronze medal at the ICT Canoe and Slalom Junior / U23 World Championships in Penrith, Australia. Nottingham Trent University Economics student, Tom Quinn, was among the medals last week, taking a bronze at the ICT Canoe and Slalom Junior / U23 World Championships in Penrith, Australia. Tom, who is currently in his final year, secured his place on the medal podium during the final of the Under 23 C1M. The Great Britain and NTU flags were flying high for the final, with NTU students Ryan Westley and Adam Burgess also racing alongside Tom. The annual competition ran from 23 – 27 April at the Penrith Whitewater Stadium, which was the venue of the 2000 Sydney Olympic Games. It proved to be a fantastic start to the 2014 international season for the team, taking home a gold, two silvers, and three bronze medals. 11 out of 20 team members secured places in the individuals finals. Tom is currently completing the final year of his BA (Hons) Business Economics degree, and has been a University Sport Scholar for the duration of his time at NTU. He was recently selected for the GB Senior Team following the national selection races after being involved in the GB programme for a number of years. He now has a busy summer ahead that includes World Cup races and the European and World Canoe Slalom Championships. He has competed in the BUCS (British University & Colleges Sport) competition for the University throughout his time at NTU, winning over 20 medals including being crowned C1 Canoe Slalom Champion in 2011, 2013 & 2014.